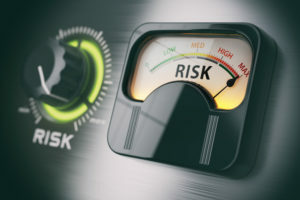 According to Thomas Skala, chief executive officer and president of telecommunications and payments company Genie Gateway, a mitigated risk of chargebacks makes checks the best path for high-risk sellers. High-risk sellers can include, for example, product repair companies if a customer is unhappy with a repair result; or the travel industry, in which buyers can chargeback travel plans if they are suddenly unable to pay for their trip. Genie Gateway provides checking and debit services that bypass card and ACH rails in order to limit merchants’ exposure to chargeback risk. Genie Gateway focuses its services on unbanked and underbanked high-risk merchants, for which the exposure to chargebacks means they are often shunned by traditional financial service providers, Skala explained. Skala adds that checks can be “very beneficial,” largely due to their lack of chargeback risk. Checks are not fading away into the void – – they are, in fact (and as seen above), the payment avenue of choice in certain sectors. With any business, fraud will never go away and for mainstream and corporate clients, fraud is on the upswing. In many cases, incorporating technologies such as Anywhere Fraud are the best solution to mitigate risks and prevent fraud, protecting businesses and their customers.